New to figure skating? 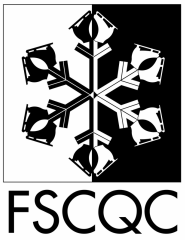 Click on Membership for information on joining the FSCQC. Also, the General Info tab has a drop-down menu with lots of information just for you! For ice schedules or information on our coaches, look under About. VICTOR SCHMIDT'S 100TH BIRTHDAY ON ICE! The Figure Skating Club of the Quad Cities celebrates with our long-time member and supporter Victor Schmidt on his 100th birthday! Friends, family, and past and current FSCQC members joined Victor on the ice to the strains of the Dutch Waltz. Victor, the club thanks you for all you have done for us over the years, and congratulates you on this very special birthday! We were absolutely thrilled to have a clinic with Sheila Thelen on February 3rd! She worked with our skaters both on and off the ice, and trained us in the use of our new off-ice harness. Thank you so much, Sheila! And a huge shout-out to Coach Ferelith, who organized this wonderful clinic for us! Thanks also to our John Deere employee sponsors! We used our Benevity funds to purchase the harness! Thanks to all who helped with our National Skate Month event at The River's Edge on January 19th! Here are just a few of the happy skaters who came out to skate with us that day. There are more pictures on our Facebook page. Thanks to Sophia C. and Lily for designing t-shirts and sweatshirts for us! Order forms are available at the rink on the coaches' room door, and orders are due by January 31. All shirts would be the darker blue color. FSCQC skaters took to the ice with their own special version of "Baby Shark" at a QC Storm hockey game on Saturday, December 8. Doo-doo-doo-doo-doo-doo! The FSCQC helped to open Bettendorf's seasonal outdoor rink, Frozen Landing, for the 3rd straight year. Elise, Sophia, Mylie, Charley, and Sydney did a great job representing our club! Six-year-old Kate passes Pre-Preliminary Moves and Free Skating. She became the FSCQC's first Quadruple Gold Medalist on 11/11/18 by passing her Senior Solo Free Dance. Kate has passed a total of 44 USFS tests, earning gold medal status in Moves, Free Skating, Solo Dance, and Solo Free Dance. See a link to the video on the Tests Passed page. Kate passes Senior Solo Free Dance, her 44th USFS test. CONGRATULATIONS to Nick West, who will be joining the cast of SeaWorld Orlando's Winter Wonderland on Ice this holiday season! We're so proud of you, Nick!!! The pictures above are from our 2018 Spring Show, Broadway Showstoppers. For more photos of this show, click the "Shows" tab! For those of you that have family members or friends that work at John Deere, we are pleased to share that FSCQC has now been set up in John Deere's volunteerism tool. This means that for John Deere employees who volunteer time with FSCQC (such as for shows, competitions, etc), the employee can submit those volunteer hours for the "John Deere Dollars for Doers" program, resulting in John Deere making a monetary donation to FSCQC. In addition, any John Deere employee that gives a monetary donation to the club can request John Deere "Matching Funds" resulting in a matching donation from Deere. Dollars for Doers funds and matching funds can be requested through the John Deere Volunteerism tool by selecting "Figure Skating Club of the Quad Cities." Pass this along to any John Deere employees you know that may want to help the FSCQC out!